The 2018 MLB All-Star Game is finally here after months of hype and anticipation. This season’s installment of the Midsummer Classic is chock full of fresh young talent to go with some of the mainstays that’ve become household names over the years. What better spot than our nation’s capital to take in the spectacle as baseball bettors will be watching the action with a keen eye. Take a look at our betting preview for the big game and find out which squad of stars will claim victory as well as the best bets to make with top sportsbooks. 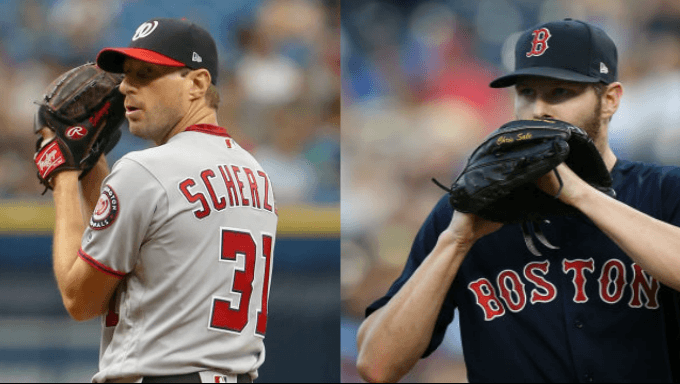 The starting pitchers will be Chris Sale of the Boston Red Sox against Max Scherzer of the Washington Nationals. It'll make for an intriguing duel for at least the first one or two innings as both have experience starting All-Star Games. The “elder statesmen” of the game are Harper, the hometown hero for the National League, and Trout, the do-it-all perennial MVP from the American League. The duo are 25 and 26 years old respectively yet have an incredible 13 All-Star Game appearances between them. While the winner of the game no longer is granted homefield advantage in the World Series and despite the overall celebratory atmosphere the All-Star Game is still very competitive. Both sides still are interested in thrilling the capacity crowd and global television audience, and as always there will be pride on the line. While trying to predict the winner, the answer seems pretty obvious when looking at past games. The American League has, for lack of a better word, dominated the game since 1997. The AL has won an incredible 17 of the last 20 contests with the National League winning three in a row from 2010 to 2012. With that in mind, 888sport offers a -129 money line that is one of the more profitable choices should you expect Mike Trout and Co. to continue the trend and win a sixth meeting in a row. This year’s American League lineup is punishing, and Sale has been lights out of late, so there’s a good chance the money is right on this season. Another interesting question to consider is whether or not the recent stretch of low-scoring matchups will continue tonight. Betway sets the over/under at 7 runs total and by those standards the last two years’ games have been under. Take the over (-125 at Betway.com) this year, especially if you’re backing the American League as it’s been a big year for offense and home runs around the big leagues. The double including both the AL to win and Over 6.5 total runs to be scored on Betway is the value play with odds of +170. Bet365 offers an extensive variety of prop bet markets and some are definitely worth a look for the savvy baseball fan. These are a few of our favorites that represent some good opportunities at quick, easy money. Both starting pitchers are studs with experience starting All-Star Games to boot. They’re no strangers to the moment and will know exactly how to manage their emotions well. Expect both to get off to great starts allowing under two hits (+100 on Bet365.com) and no runs (-150) in the first inning combined. If you’re taking the American League to win and expect them to score first, Bet365 offers +100 odds for that to occur so take advantage of that pick along with the +200 selection that the team that scores first will win the game. Finally, as it may be hard to string hits together against the best pitchers in the game, take the +105 bet that the first home run of the game (if there is one) will be a solo shot. That’s not to say there won’t be more than one dinger in the contest, but the first one that may or may not open the floodgates is most likely to be a one-run bomb.